I had a conversation with Uncle of SportsChump over the phone the other day. For those of you who don’t know, Uncle of SportsChump is one of our nation’s, last remaining baseball fans. Having eaten, breathed and slept baseball all his life, I’d put money on the fact that Uncle of SportsChump knows more about baseball than about 98% of the people in this country, give or take a few percentage points in either direction. If our family is ESPN, Uncle Alex is our Keith Olbermann. Uncle Alex recently coached his son’s (my cousin’s) little league for the first time ever and found it to be quite a rush. I reminded him I had coached youth basketball back in the day and found it to be equally as rewarding. He then went on to tell me of his concern that kids these days just weren’t into baseball like they were when he (and I) were kids. I agreed. A lot has transpired on the way to baseball’s irrelevance. There once was a time where baseball reigned supreme. 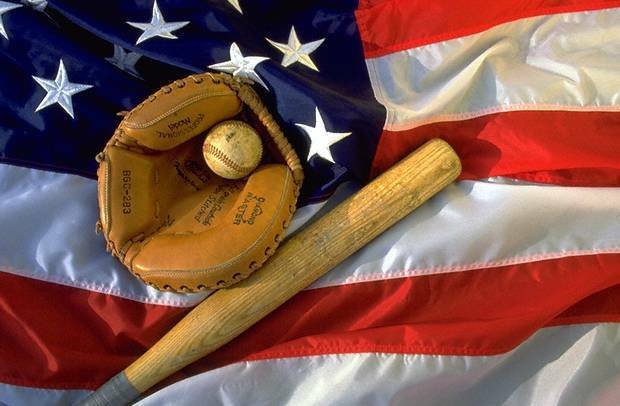 It was America’s number one sport, our pride, our pastime. When’s the last time you attended a baseball game or even watched one in its entirety? Exactly. Don’t get me wrong, there are still plenty of fans out there but baseball doesn’t dominate our national landscape like the NFL. Nor does it find its share of the marketplace expanding among today’s youth like the NBA. Major League Baseball currently plays third fiddle and the sound of that fiddle is becoming fainter by the inning. The events that led to baseball’s backseat are duly noted: labor strikes, canceled World Series, decade long drug scandals, its hypocrisy in dealing with said scandals and its continued refusal to deal with how to honor its once biggest stars who now sit single-file outside Cooperstown waiting to see what’s next. Superstars like Roger Clemens, Alex Rodriguez and Barry Bonds went from being idolized as the greatest players of their generation (if not ever) to condemned pariahs all because Major League Baseball told us that’s how to treat them. One might find these figures shocking but let’s be honest. We didn’t need a fancy science journal or some over-educated, Nigerian doctor to tell us that routinely hitting one’s head against something else, i.e., another person’s head, is bad for one’s health. The NFL’s role in covering up this scandal in order to protect its product (and its profits) has come into question as has its concern about protecting current (and future) players from incurring further physical and psychological damage. We’ve come to the point where families will soon (or already have) forbid their children from playing football. That can only hurt the sport in the future. For altogether different reasons, kids stopped playing baseball years ago. We’re seeing the effects of that only now. In both cases, mismanagement of these sports has disaffected our interest. When Uncle of SportsChump and I discussed why baseball had become an afterthought, I argued this was a generational phenomenon, that years later, baseball’s chickens had come home to roost. If the NFL fails to addresses these pressing issues, the same will happen on the football field. Don’t get me wrong, there will always be families that allow their children to play the sport that is equally an important part of our heritage. Drive by any high school in the Southeast or Midwest or Texas in the autumn and you’ll hear grunts from the gridiron, pads crushing against pads and coaches’ whistles signaling a stoppage in play. 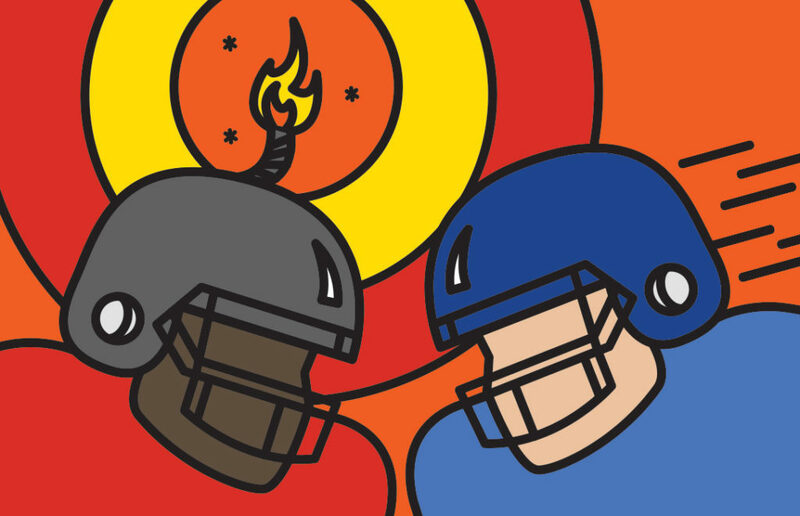 Friday night lights, Saturday morning tailgates and Sundays’ fantasy lineup obsessions have become so much a part of our culture that we can’t imagine life without them. That is until players continue to die from the sport they play. Ultimately something will have to give. Barry Sanders and Robert Smith were ahead of their time. Make your millions and get away from the sport while you can still walk without a limp… and that’s the best-case scenario. Every parent who pulls their child from playing football means one less kid watching the sport down the road. In time, that adds up. Within twenty or so years, one full generation, even the most popular sport can become a thing of the past… and no longer our pastime. The NFL needs to address this CTE epidemic far better than baseball handled its issues. By that, I mean not only the commissioner’s office. The players union, team owners and entire institution of football from the ground up need to work side by side to figure how to stop its heroes from sacrificing their slow painful deaths for the enjoyment of the multitude. Before the kids get wind of it. This entry was posted in Diamond, Featured, Hardwood, Life of Sports Chump and tagged Alex Rodriguez, Barry Bonds, Barry Sanders, Bennett Omalu, CTE, NFL, Robert Smith, Roger Clemens, Uncle Alex by Chris Humpherys. Bookmark the permalink. The NFL hierarchy and the Players’ Union have never had the players’ best interest at heart. Both parties have been more focused on the bottom line and increased revenues. That’s all you need to know. Goodell and his predecessor Paul Tagliabue couldn’t give a $hit about player safety. Similar vein of thought also, when it comes to the federal government and the welfare of military veterans. So I take it you watched the Fresh Prince of Concussion recently? I was skeptical when that flick came out, but after watching it, I’m glad the NFL and sports in general are taking measures to protect players. But, ultimately it’s up to the players to determine the risks vs rewards of trading helmet paint. It’s still a free country, so enjoy that freedom while it still exists. Life itself is a risk -But you gotta live it anyway. I just don’t want the bleeding hearts of the world banning football, baseball or climbing trees in the name of safety …..Or vilifying those who do the same way smokers are shamed for choosing to ignore the warnings, or the way PETA treats meat eaters. …If that’s the case, we might as well all change our names to Caitlyn. Did you see the list of former players involved in the lawsuit against the NFL, Al? It looks like pretty much everyone who’s ever played the game. Guess the league should have had ’em sign a waiver. I actually watched the movie for the first time last month. I did, however, see Amalu speak when he came to town a few years back. Even got him to sign my book, of which I read the first half, so I got the gist of what the film was about. I’m with you. Players sign up for it. They make millions and sacrifice their health for it. It’s just shady of the league to cover up that there may have been some sort of problem.